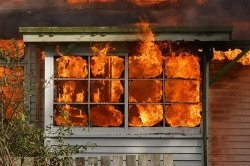 It is a bitter fact that there are around 63,000 household fires in the UK each year, claiming approximately 500 lives and leaving 14,000 injured. If you have a fire in your home, a smoke detector can buy you valuable time to put your escape plan into action, and get your family to safety. 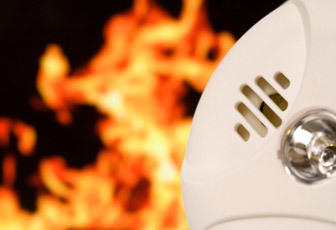 Lynx Electrical and Security can supply and fit smoke and heat detection systems in all types of property. Thatched roof dwellings in particular are required by insurance companies to have an appropriate system in place before they will give cover. Not all fires however happen when you are at home. When fire strikes when you are away, who is monitoring your fire alarm for you? When the unthinkable happens, you need a reliable monitoring system. We can install a monitoring system to most existing smoke alarms giving you peace of mind that whether at the office, on the town or abroad, you can be notified immediately and take action to minimise loss.